Well, this is the end of Picture Book Month. It actually ended on Wednesday. I hope you've enjoyed my weekly recaps of the picture books we read throughout the month of November. As I've said before, the Picture Book Month website featured a calendar that offered themes for each day of the month. So each day, we read a picture book from our shelves that went along with the theme. M was all for this theme, and we had tons of books to choose from. She chose Princess Tiana and the Royal Ball. This is the story of Tiana being invited to her first ball. It takes place after the movie, so she is already a princess and owns her restaurant. Her best friend, Charlotte, tries to get Tiana to follow all of the rules in The Princess Handbook, but Tiana just wants to be herself. It's a cute story with a nice message. This was a hard one since my kids have never been big dinosaur fans. 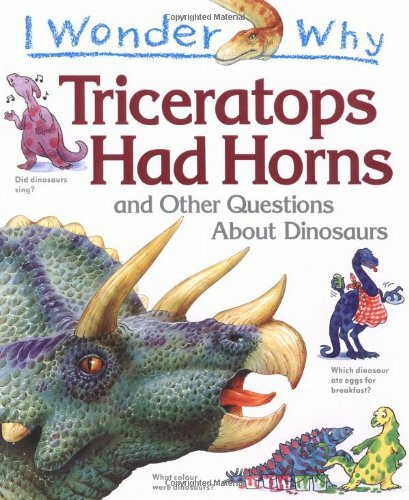 But we did recently get a nonfiction picture book from a neighbor called I Wonder Why Triceratops Had Horns and Other Questions About Dinosaurs, so we read that one for the first time. This book has questions on each page about dinosaurs: how many there were, when they lived, what they ate, etc. There are big colorful pictures and cartoon-like images throughout the book. It's very interesting and fun to look at, and we learned a lot about dinosaurs. Okay, so this one is a major stretch because we just don't have any of the typical toddler shape books anymore. So I decided to go with "shapes" as an abstract concept (bear with me). I picked our favorite picture book of 2011, Little White Rabbit. I just love this book and was hoping to fit it in somehow with one of the themes. 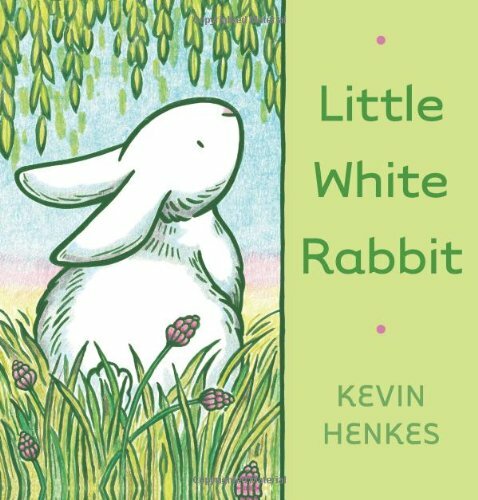 It's about a little white rabbit who imagines himself as a variety of different things: green instead of white, tall as the trees, still as a stone. And he changes shape or size or color to be whatever he imagines himself to be. Yes, it's a huge stretch for the shapes theme, but I just had to read this one! 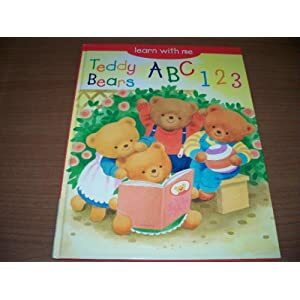 For numbers, we chose Teddy Bears ABC 123. This book features a four-line rhyme for each of the letters and each of the numbers, along with fun illustrations of teddy bears. One teddy bear is cycling, three are by the sea. They garden and jump rope and climb a tree. It's very cute and great for kids who are learning their ABCs and numbers. I think it's one of those books we'll probably be handing down to someone else soon, but it's still fun to read sometimes. And it fits the numbers theme perfectly!